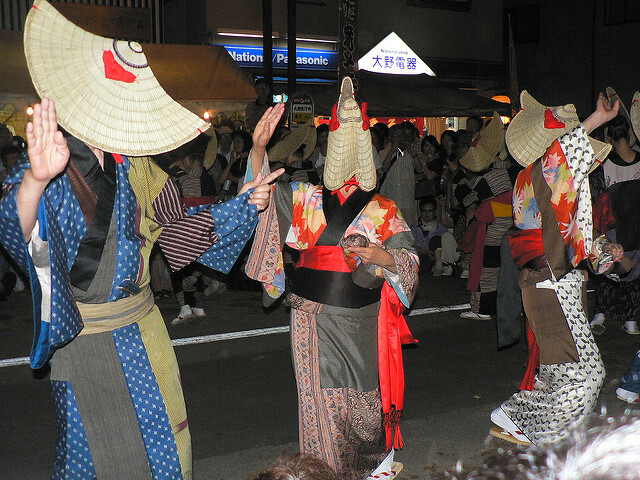 Hotaru-gari(蛍狩り) literally means "hunting for fireflies", but actually means going out to see flashing fireflies. 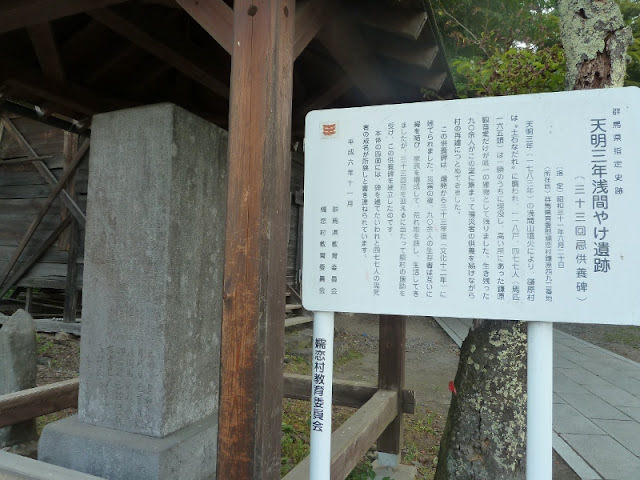 The Japan Meteorological Agency announced the end of the rainy season in the Kanto region on 29 June. The season ended 7 days earlier than last year and 22 days earlier than average. A seasonal rain front activated by Typhoon Prapiroon(Typhoon No.7) has brought torrential downpours in many parts of Japan. The threat of heavy rainfall and flooding will persist until Sunday. Firefly-watching is nearing an end while I am dillydallying. Most of firefly-watching events were done, but some of them will last until mid-July. 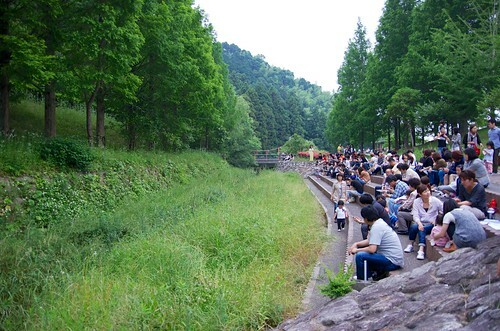 In early June, Hotaru-hojo-sai (Releasing Fireflies Ritual) is held at Yanagihara Shinchi Pond in Tsurugaoka Hachimangu Shrine, Kanagawa Prefecture. Visitors can see fireflies flashing during a week from the ritual. Tokyo Hotaru Festival imagined fireflies by Sumida river through LED lights. This event is not held any more. The word "hotaru (fireflies) " appeared in Nihonshoki (Chronicles of Japan) finished in 720, but it is unclear what the word meaned. 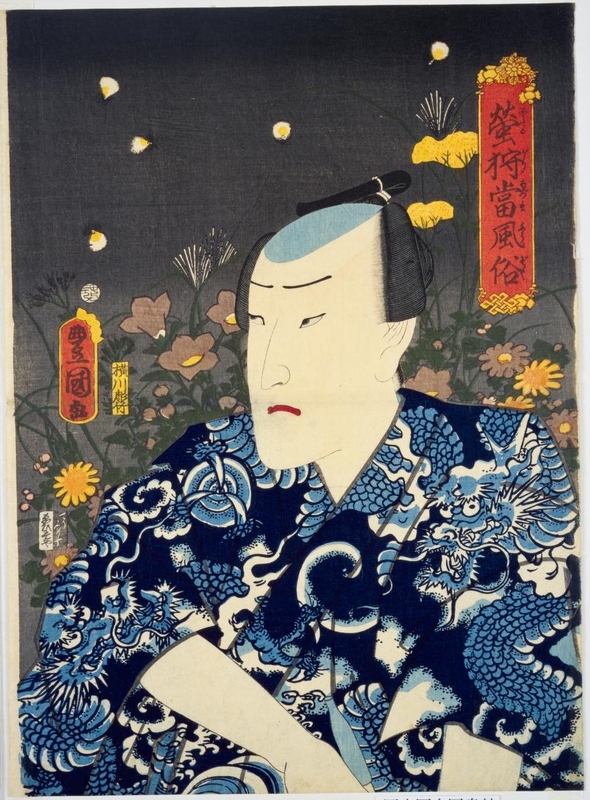 In the Heian period(794-1185), fireflies were referred in literature such as the collection of poems "Collection of Ten Thousand Leaves", Sei Shonagon's "The Pillow Book", Murasaki Shikibu's "The Tale of Genji." 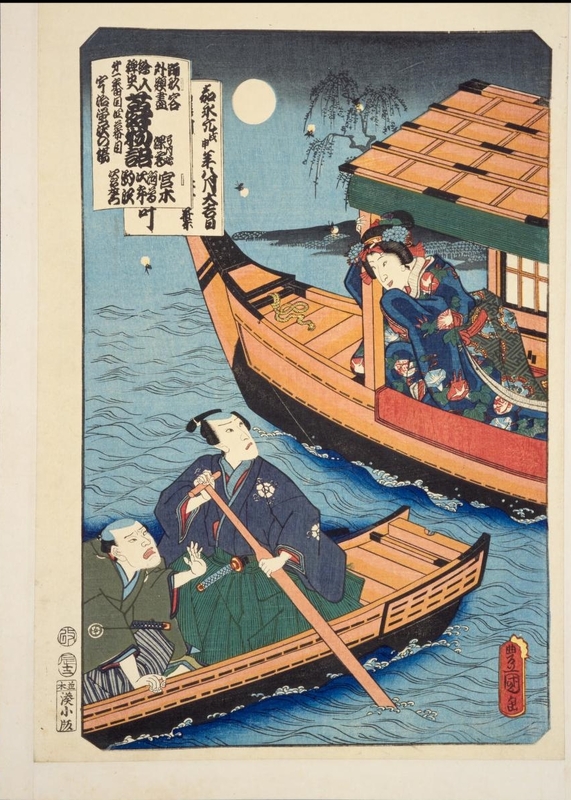 Sei Shonagon praised that lots of fireflies flitted to and fro on a moonless summer night. She also loved that a couple of fireflies hovered and blinked a dim light. 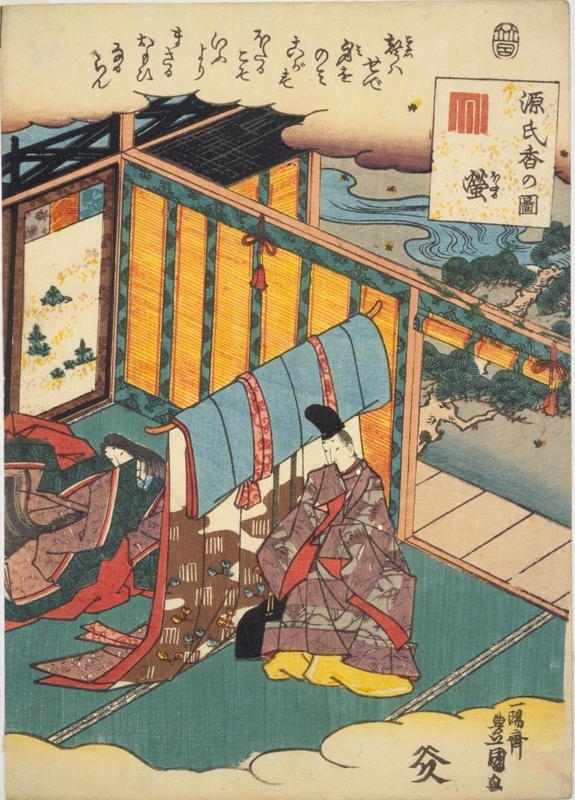 Hotaru (The Fireflies) is the 25th chapter of "The Tale of Genji." When Genji's half-brother Hotaru Hyobukyo no Miya(蛍兵部卿宮) visits Tamakazura(玉鬘, Genji's adopted daughter), Genji releases fireflies behind a screen to light up her with fireflies, showing her beauty to him. 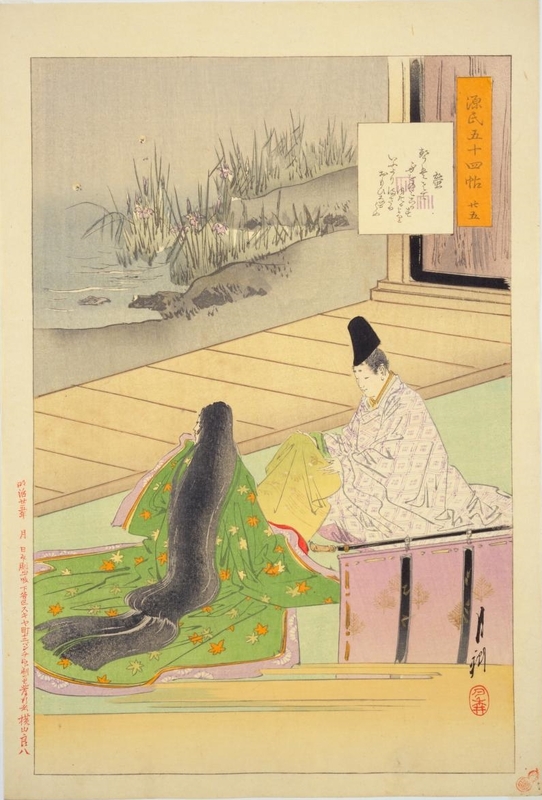 Title: Hotaru (The Fireflies), the 25th chapter of "The Tale of Genji"
Genjiko(源氏香) is a game in Ko-do( incense burning) in which participators smell five scents and guess same ones. Five scents can be all the same or different. There are 52 possible combinations of answers. 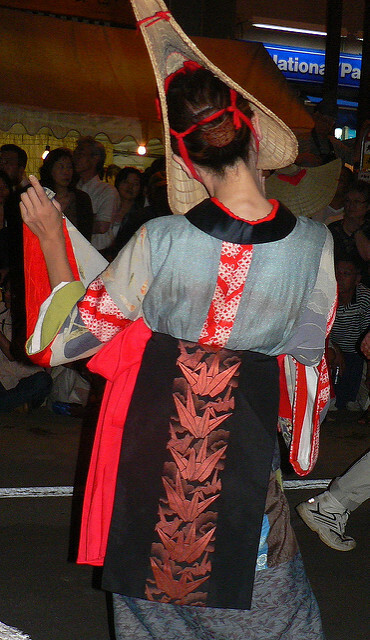 A collection of the patterns that show the combinations is Genjiko no zu. The combinations are assigned to the Chapters of “The Tale of the Genji.” Five vertical lines mean scents. The rightmost line means the first scent, and the leftmost one does the fifth scent. participators connect the lines that seem to be the same scents. 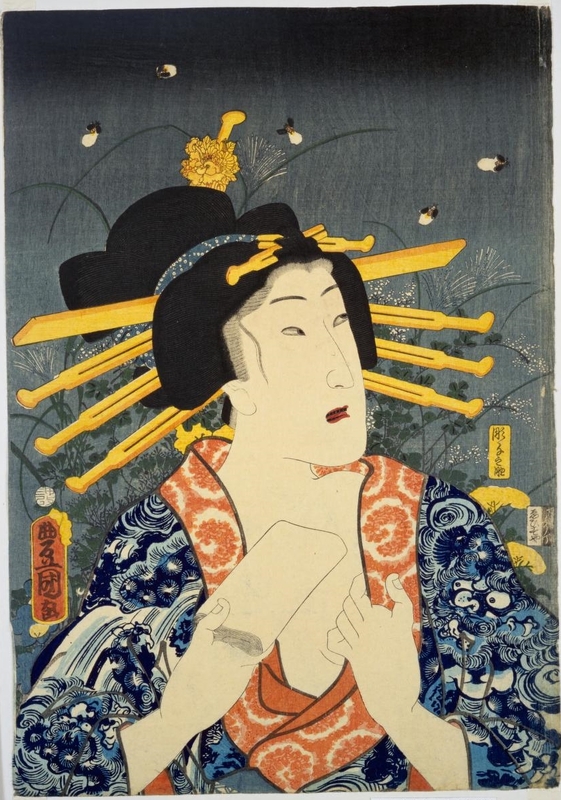 In the Heian Period, fireflies symbolized feelings of love, visible love, yearning heart. Actually fireflies light up to attract a mate. 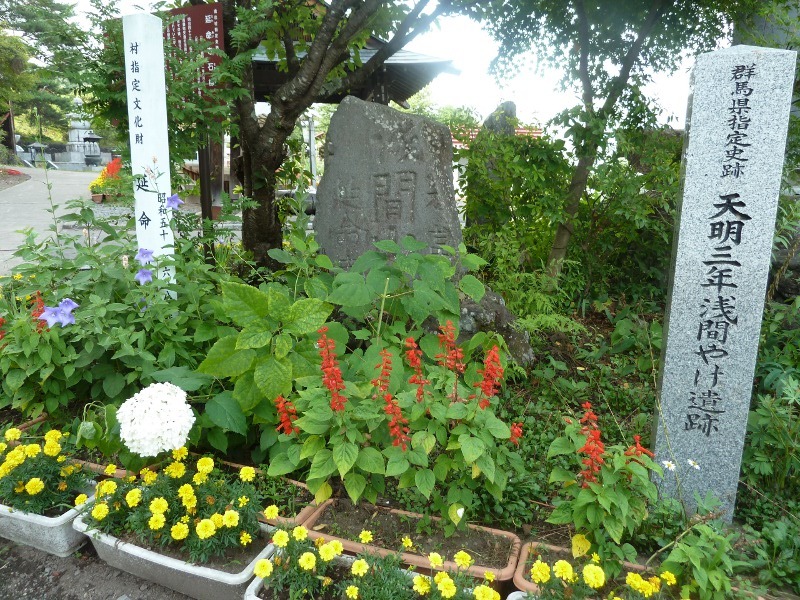 Woman poet Izumi-Shikibu(ca.978-?) 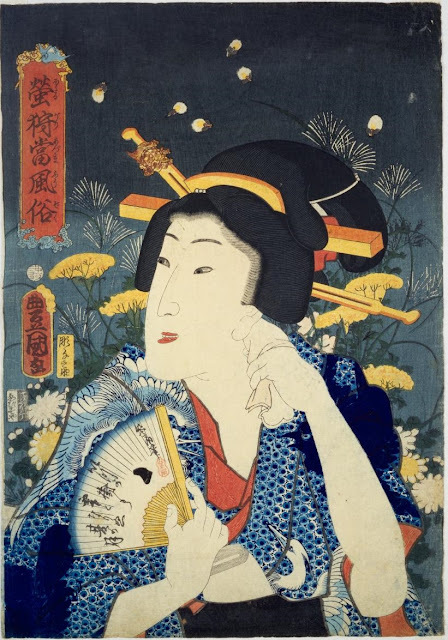 depicted fireflies as her visible affection for her husband in one of her waka poems. She felt like her strong feelings for him left her body and flew around flashing. 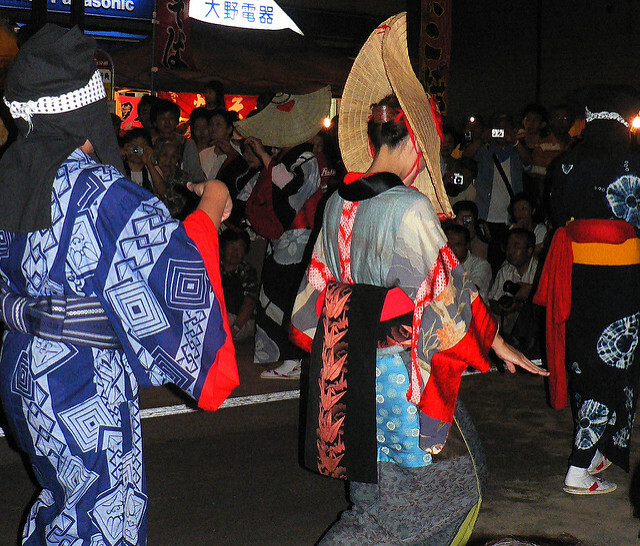 Commuter marriage was common among nobles in the Heian Period. Noblemen visited their wives' houses. It was common that a married couple of nobles lived apart. 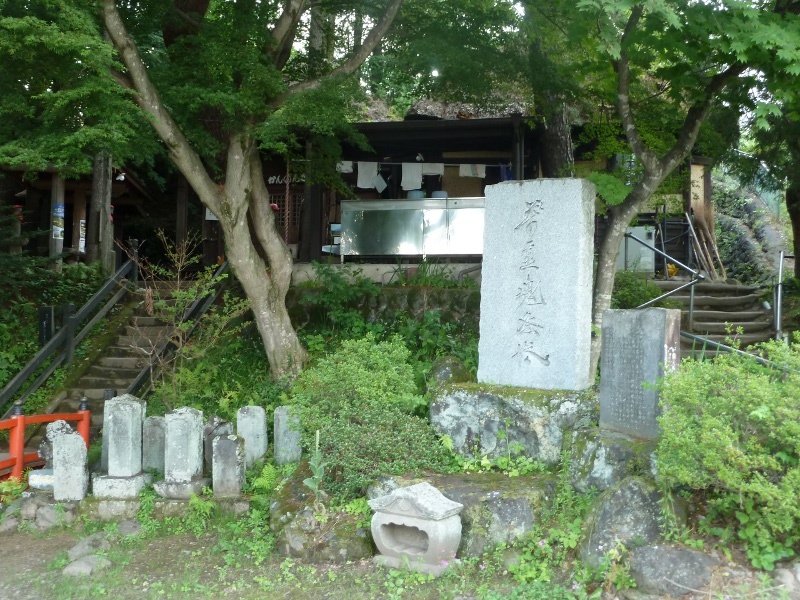 A nobleman who lost interest in his wife gradually kept away from her. Her husband also had not seen her for a long while. "Fireflies can't tell their feelings in words. They can do nothing but burn out. They arouse pity." 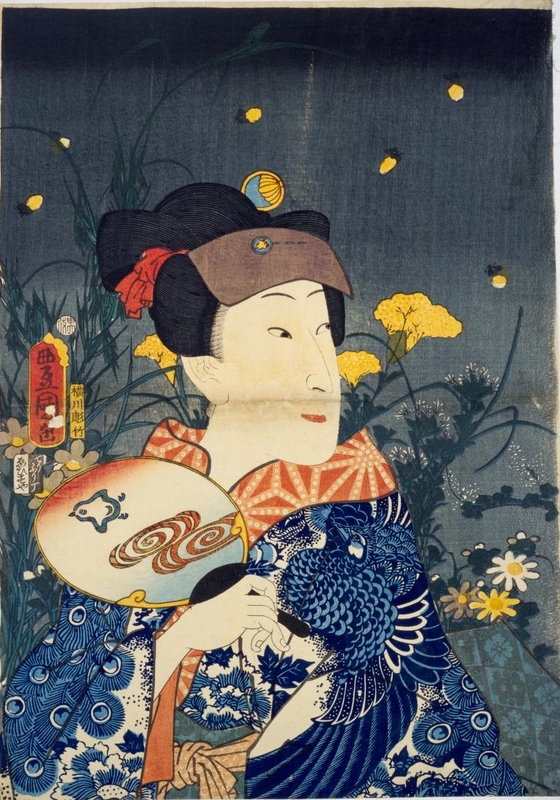 In the Edo period, commoners also went out to see fireflies when they began to appear at dusk. 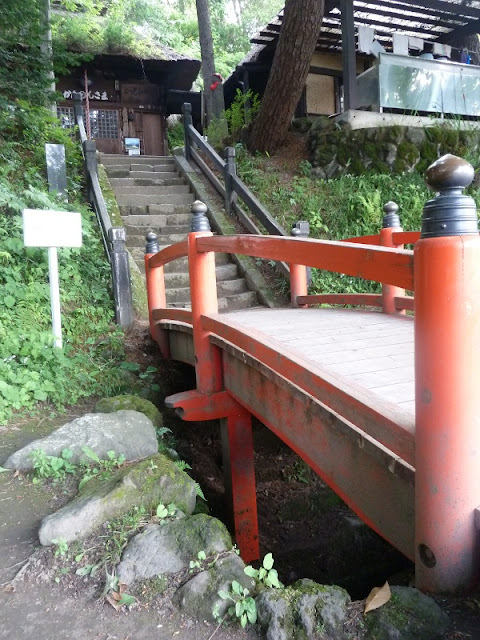 Edo residents visited spots to see fireflies such as Sorin-ji Temple in Yanaka, now-defunct Sugatami-bashi Bridge (an area around Nishi-waseda and Takada), an area near Asukayama Park in Kita Ward, an area near Iidabashi, jindai-ji Temple in Chofu City. 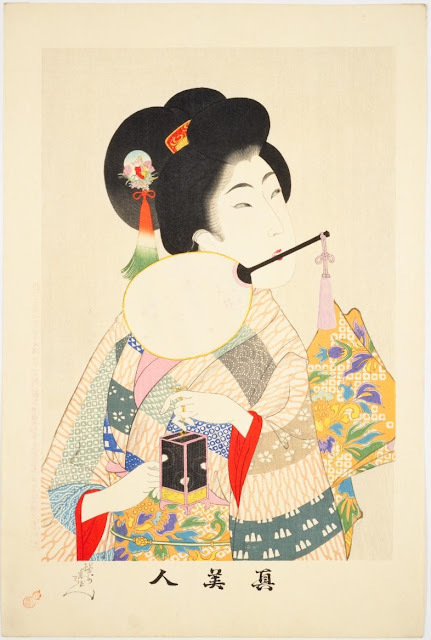 Outstanding Kabuki actor Sawamura Tanosuke Ⅲ(1845-1878) is graphically portrayed in this print. 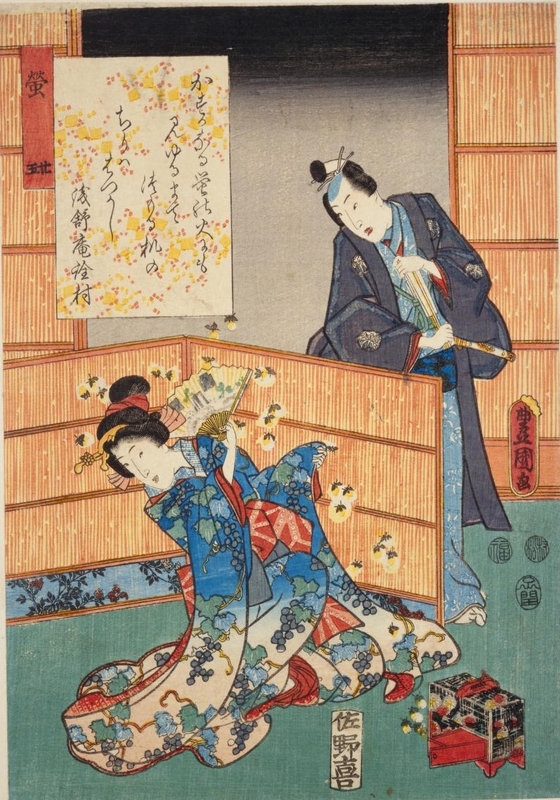 He was a gorgeous onnagata (an actor specializing in female roles) , even after he had his both legs amputated at the knee due to necrosis and had his right hand and left four fingers amputated. 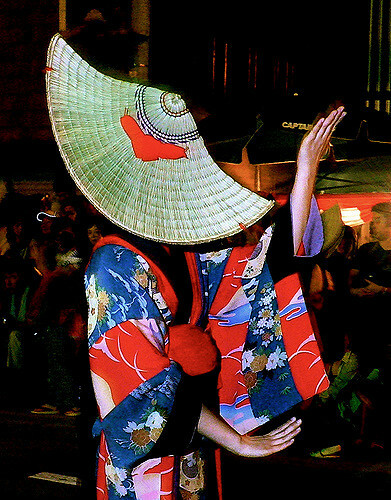 He performed Kabuki with his prosthetic limb. 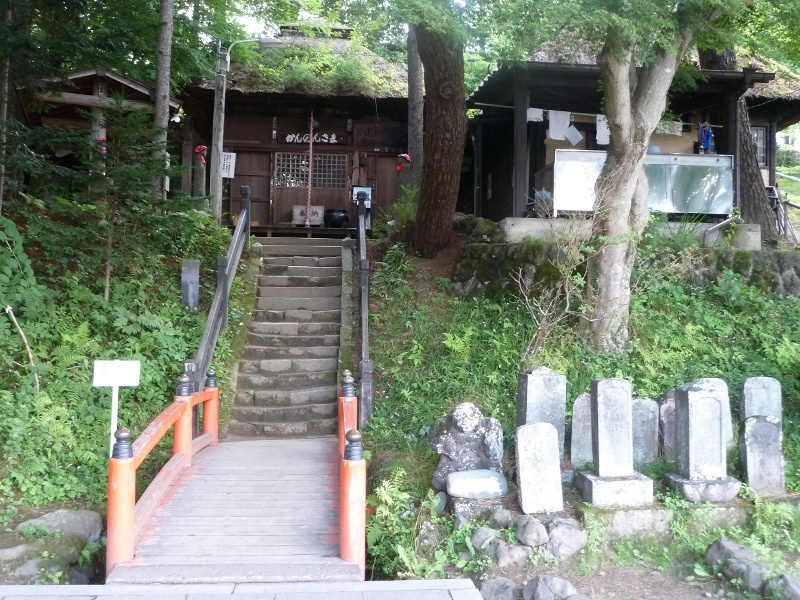 Children used to put fireflies into straw cages called hotarukago and placed them at their bedsides. I didn't know the cage. Some elderly people miss the cage. An around 70-year-old woman who were born and raised in Tokyo, one of my friends, saw fireflies flickering above the paddies in her childhood. 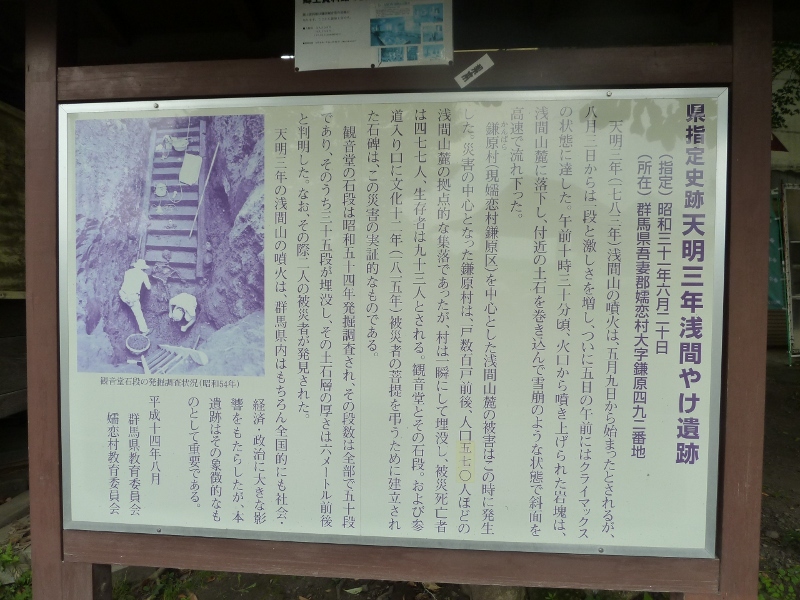 They used to be common insects even in Tokyo until about 60 years ago. Now fireflies drastically have decreased in Japan because they can live only in clean rivers. So artificially-raised fireflies are released in many parts of Japan. Even now, there is a natural growth area of fireflies in Seijo, Tokyo. 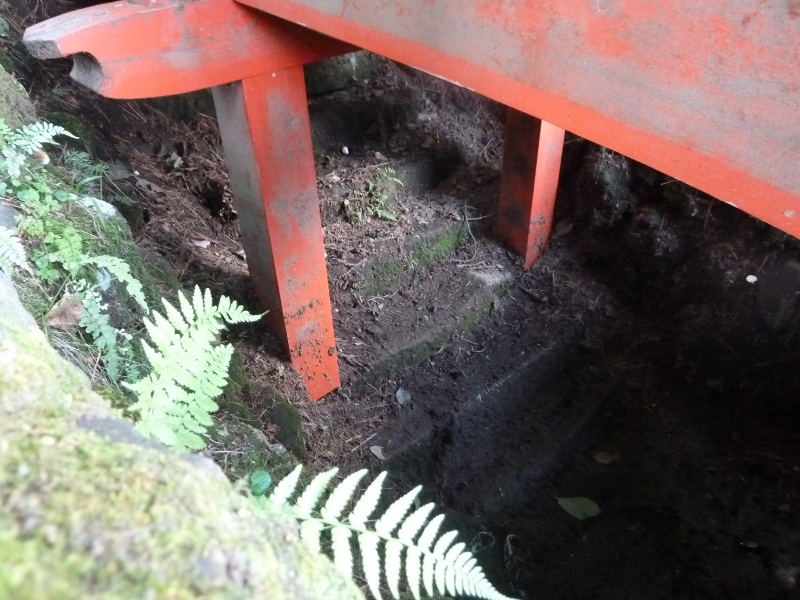 The area is not open to the public for the sake of environmental preservation. 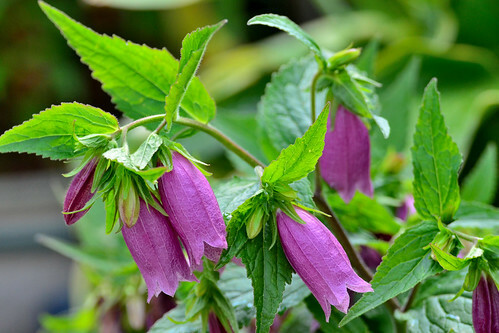 In Japan, spotted bellflower(Campanula punctata) is called Hotaru-bukuro(蛍袋), which literally means a sack for fireflies. It is said to be named for a Japanese lantern which was also called hotaru(火垂る). According to another account, It was named so because a bellflower containing fireflies looked like a lighted lamp.